Jasper Johns (born May 15, 1930) is an American painter, sculptor and printmaker whose work is associated with abstract expressionism, Neo-Dada, and pop art. He is well known for his depictions of the American flag and other US-related topics. Johns' works regularly receive millions of dollars at sale and auction, including a reported $110 million sale in 2010. At multiple times works by Johns have held the title of most paid for a work by a living artist. Johns has received many honors throughout his career, including receipt of the National Medal of Arts in 1990, and the Presidential Medal of Freedom in 2011. In 2018, The New York Times called him the United States' "foremost living artist." 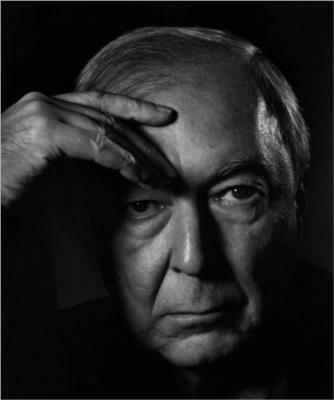 Born in Augusta, Georgia, Jasper Johns spent his early life in Allendale, South Carolina, with his paternal grandparents after his parents' marriage failed. He then spent a year living with his mother in Columbia, South Carolina, and thereafter he spent several years living with his aunt Gladys in Lake Murray, South Carolina, twenty-two miles from Columbia. He completed Edmunds High School (now Sumter High School) class of 1947 in Sumter, South Carolina, where he once again lived with his mother. Recounting this period in his life, he once said, "In the place where I was a child, there were no artists and there was no art, so I really didn't know what that meant. I think I thought it meant that I would be in a situation different than the one that I was in." Johns studied a total of three semesters at the University of South Carolina, from 1947 to 1948. He then moved to New York City and studied briefly at the Parsons School of Design in 1949. In 1952 and 1953 he was stationed in Sendai, Japan, during the Korean War. In 1954, after returning to New York, Johns met Robert Rauschenberg and they became long-term lovers. For a time they lived in the same building as Rachel Rosenthal. In the same period he was strongly influenced by the gay couple Merce Cunningham (a choreographer) and John Cage (a composer). Working together they explored the contemporary art scene, and began developing their ideas on art. In 1958, gallery owner Leo Castelli discovered Johns while visiting Rauschenberg's studio. Castelli gave him his first solo show. It was here that Alfred Barr, the founding director of New York's Museum of Modern Art, purchased four works from this show. In 1963, Johns and Cage founded Foundation for Contemporary Performance Arts, now known as Foundation for Contemporary Arts in New York City. Johns currently lives in Sharon, Connecticut, and on the island of Saint Martin. Until 2012, he lived in a rustic 1930s farmhouse with a glass-walled studio in Stony Point, New York. He first began visiting Saint Martin in the late 1960s and bought the property there in 1972. The architect Philip Johnson is the principal designer of his Saint Martin home, a long, white, rectangular structure divided into three distinct sections. Johns is best known for his painting Flag (1954–55), which he painted after having a dream of the American flag. His work is often described as Neo-Dadaist, as opposed to pop art, even though his subject matter often includes images and objects from popular culture. Still, many compilations on pop art include Jasper Johns as a pop artist because of his artistic use of classical iconography. Artworks of Jasper Johns are removed from WikiArt due to a copyright infringement notice. Dancers on a Plane, ? Painting with Two Balls, ? Ale Cans (ULAE 152), ? Flags I (ULAE 128), ? Painting with Two Balls (ULAE 87), ? Periscope I (ULAE 200), ? Savarin (Whitney Museum Poster), ? Target (Universal Limited Art Editions 35), ? Target with Plaster Casts (Universal Limited Art Editions 208), ? Untitled (Ruler) (ULAE 56), ?